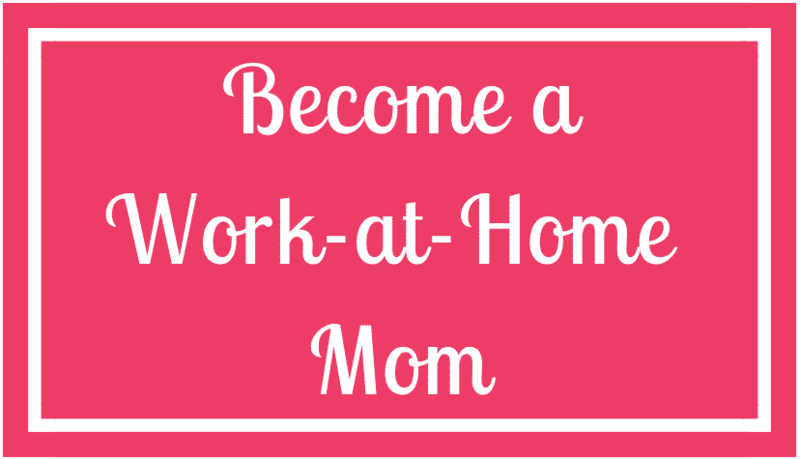 Check out the original post here for exact instructions. 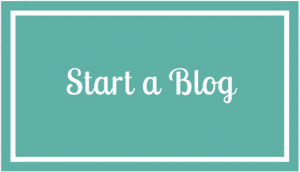 This cute idea makes name recognition a fun! 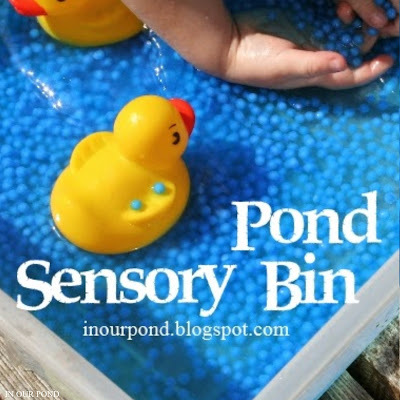 Using household items and cheap magnet letters make this activity a simple sensory experience for little ones! 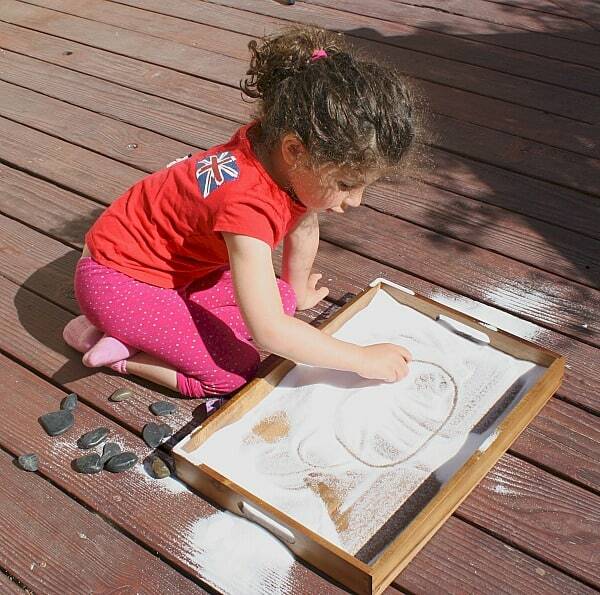 What could be better than a sand and water table in one? 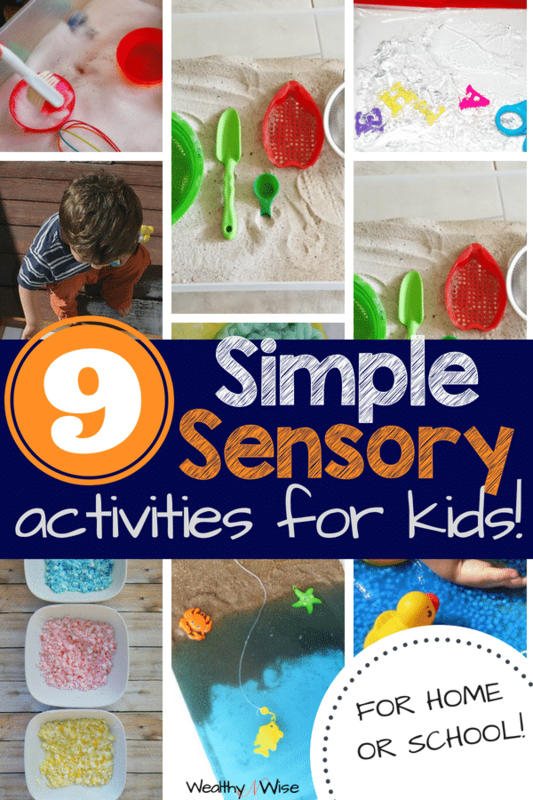 The simple sensory bin combines inexpensive play sand, water, and a few small beach toys make a great indoor beach for little ones! 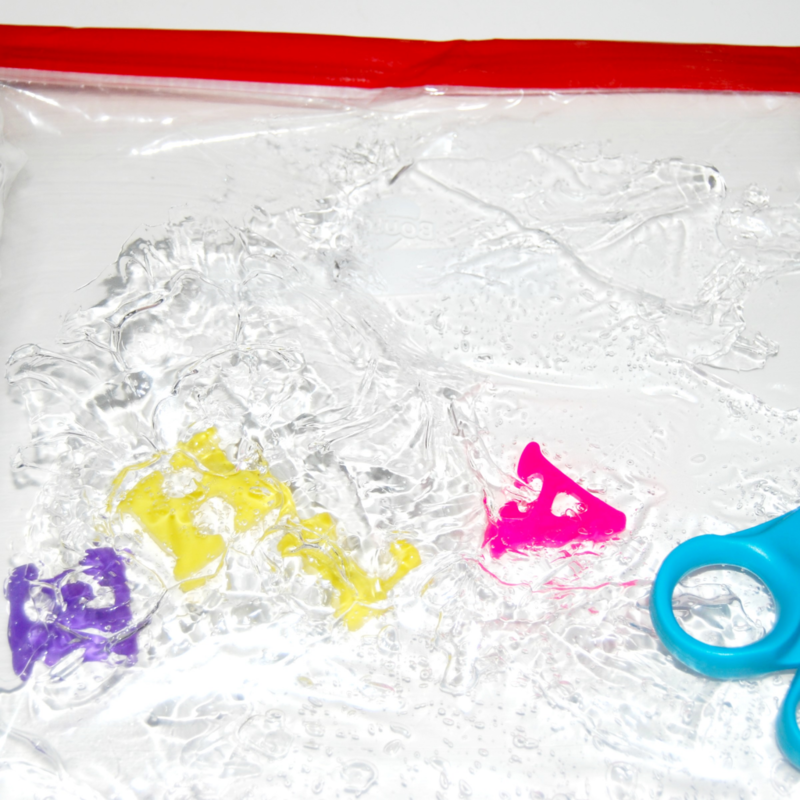 Why do kids love slime so much? Who knows… but this glow in the dark version will give your children twice the sensory action with the soft squish of slime and the crunch of Perler beads! 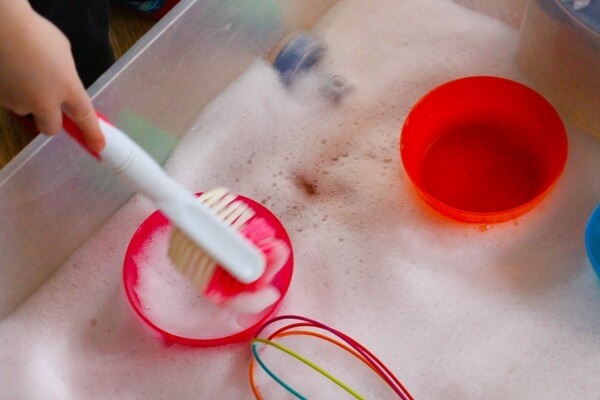 This incredibly simple sensory activity is a perfect option for those kids who love a good bubble bath! Have tons of sensory fun with this DIY magic moon sand recipe, where kids can build, shape, and mold to their hearts’ content! 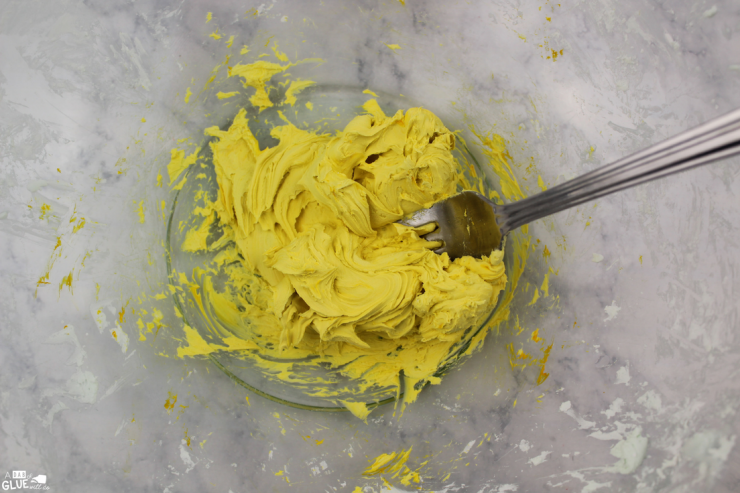 This amazingly soft playdough recipe can be made in any color for hours of sensory and molding fun. Set up a Salt Tray with Rocks! 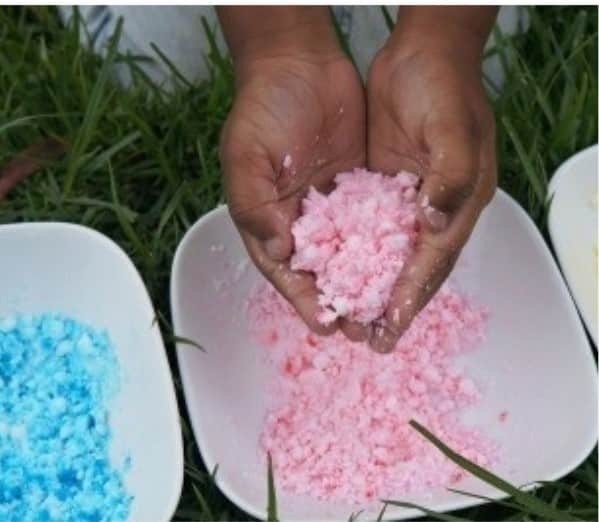 Younger children can use it for sensory play and as a way to explore making designs, imprints, and even marble runs, while older children can practice writing letters and spelling words. 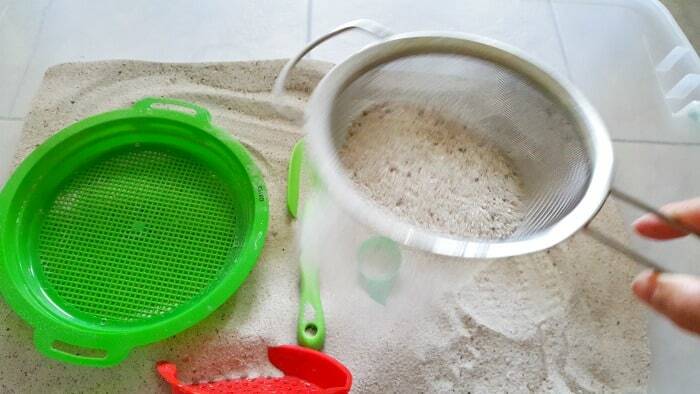 Sometimes we forget all about the simple sensory activities that have been around for ages, like this Sandbox with sifters! Check out the original post here for exact instructions and play ideas! Previous Post: « 3 Need-To-Know Tips for Helping Kids Resolve Conflict.